Lenovo Philippines donated devices to school students in remote areas through The University of San Carlos’ Chemical Engineering Society (USC ChES) and its Project LIBRO, which received Lenovo’s Most Innovative Award at the 13th Ten Accomplished Youth Organizations (TAYO) Awards last February. Project Libro has a simple premise – to promote love of reading and provide educational reinforcement to pupils of remote public elementary schools in Cebu, with donated books and tablets. As part of their commitment to enablement through technology, Lenovo Philippines, the exclusive technology partner of TAYO, donated devices that will help the USC ChES reach out to students in remote areas to be able to access information and reinforce their learning. “Lenovo believes in empowering youth through education and that is why we are in full support of Project LIBRO. Our hope is that through our devices and the educational materials included in them, kids will experience a richer kind of learning,” said Michael Ngan, Country Manager, Lenovo Philippines. The TAYO Awards is an annual event recognising youth organisations for making a difference in their communities. 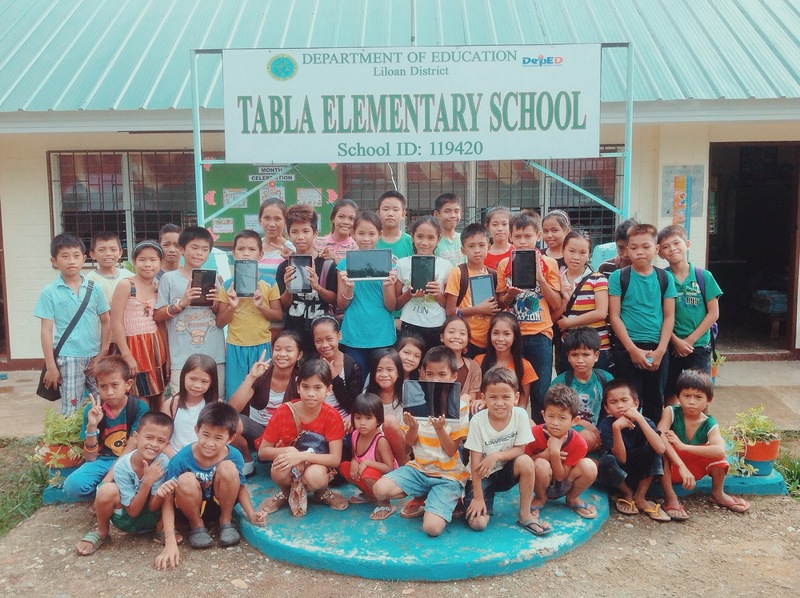 Recently, USC ChES visited Tabla Elementary School, one of the beneficiary schools of Project LIBRO, for the handover of tablets from Lenovo Philippines. The school is located in Barangay Tabla, one of the most remote mountain barangays in the Municipality of Liloan, Cebu. Members of USC ChES taught the students at Tabla Elementary School how to use the reading apps and educational games installed in the tablets. The handover of the Lenovo tablets was one of the five phases of Project LIBRO. The other phases include the installation of a mini library in the school, and the hosting of reading and comprehension competitions to award the reader showing the most progress, and the best reader in each of the chosen institutions.